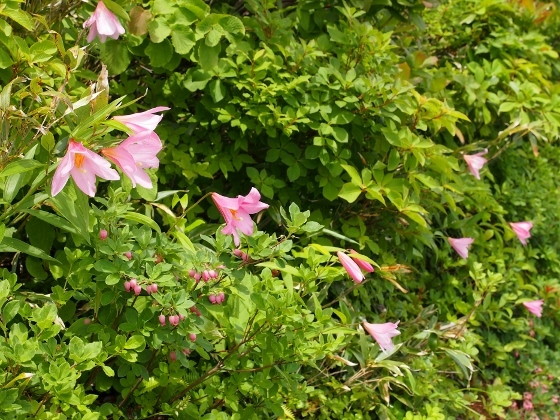 Photo above shows beautiful flowers of Lilium rubellum or Himesayuri in Japanese grown naturally on the summit area of Mt. 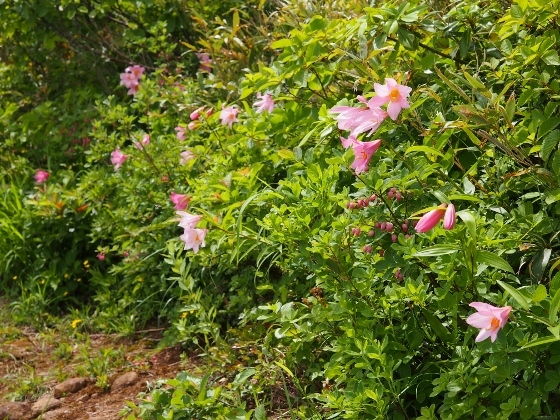 Asakusadake. 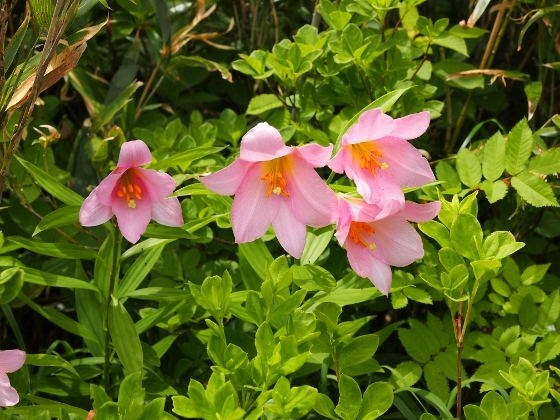 The plant is an endangered one which grows only in limited habitats in Fukushima and adjacent prefectures. Mt. 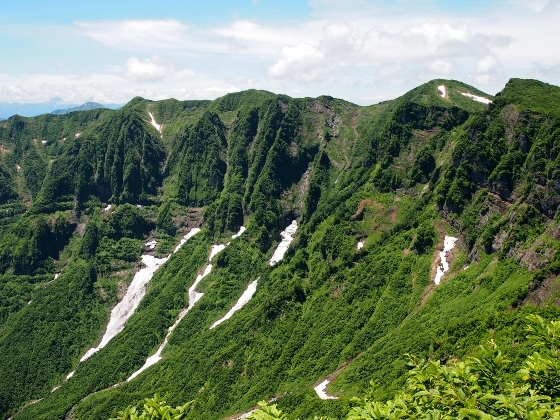 Asakusadake (1585m) is located on the border of Fukushima Pref. 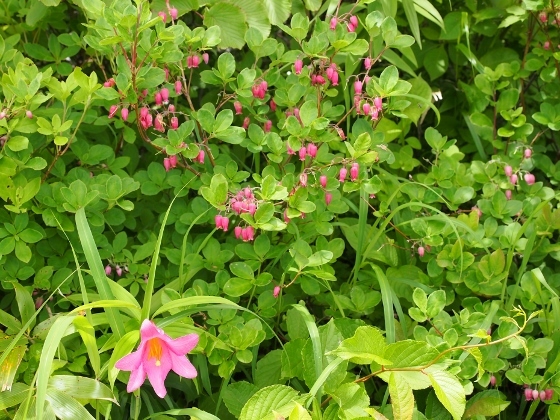 and Niigata Pref. 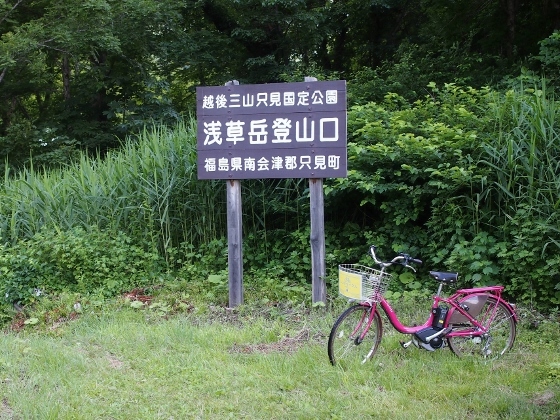 One of the entrances of the trail is located along National Route 252 beside Lake Tagokura as shown above. 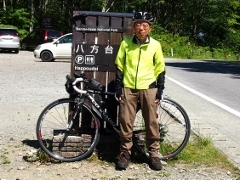 I rented a motor-assisted bicycle at Tadami Station and pedaled from a private inn I stayed the night before to the entrance point. 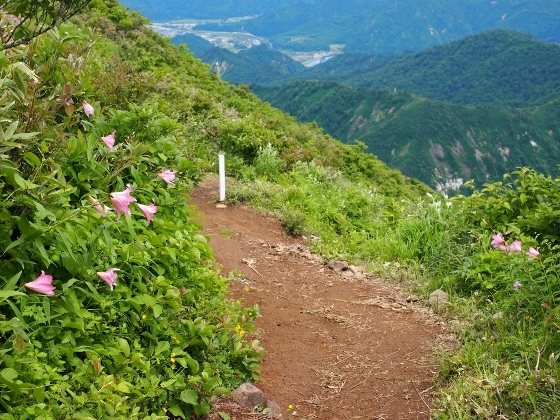 Although the mountain is medium in its height, the trail was difficult to track for me. The trail path was so narrow it was scary for acrophobic person. Steep climbing continued and there were rock traversal, rock climbing, and crossing streams. It took me ten hours round trip. 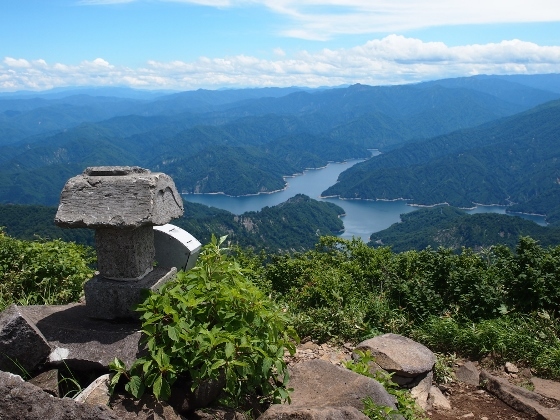 But I could experience splendid mountain scenery such as shown above. 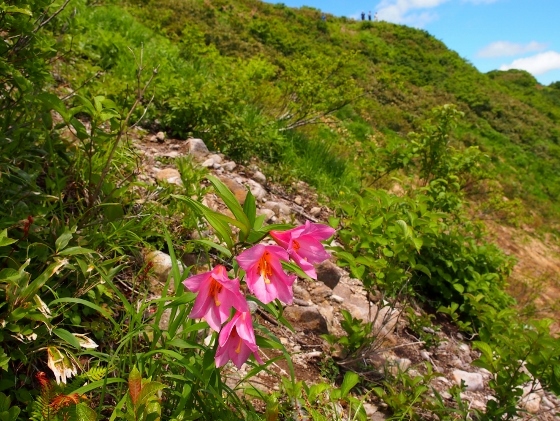 Approaching the summit, I encountered the first pretty flowers of Lilium rubellum as shown above. 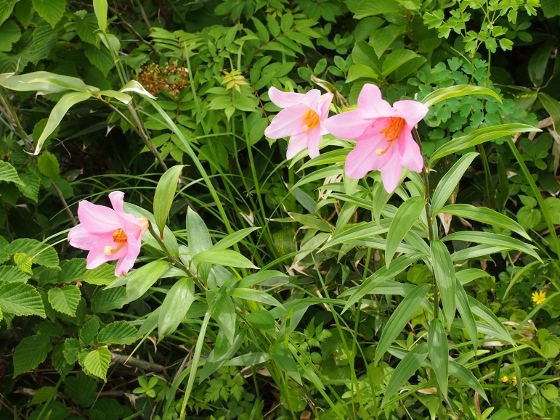 The habitat of this plant is limited to the area close to the top of the mountain. 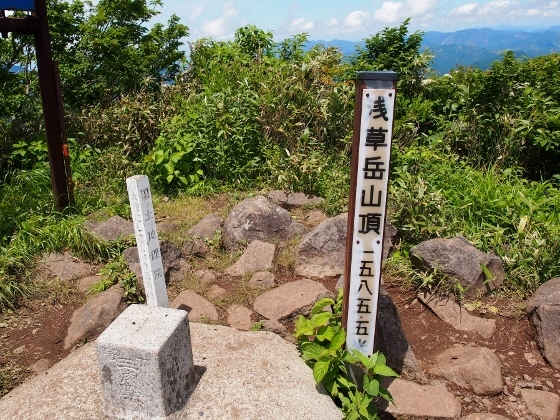 I finally got to the top as shown above with the third class triangulation point. 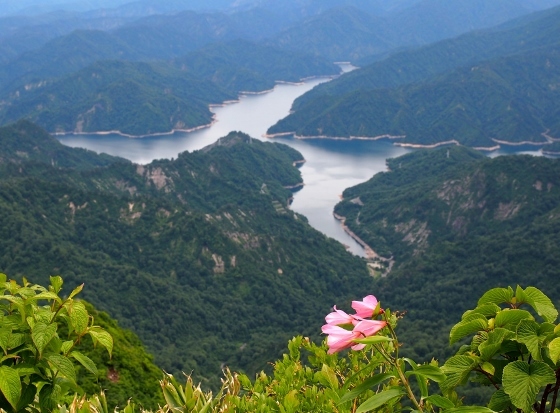 From the top, I could overlook Lake Tagokura as shown above. 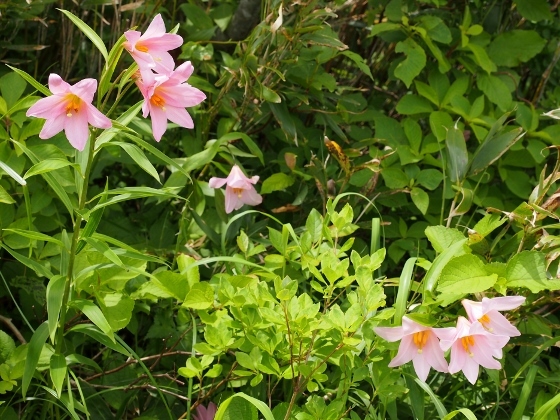 On the summit plain, flowers of Lilium rubellum were in full bloom as shown in the pictures above. 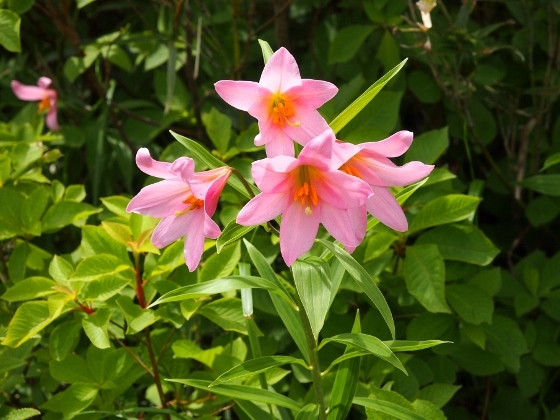 Some other close-up views of Lilium rubellum are shown above. You can play back the route and altitude on the map below. 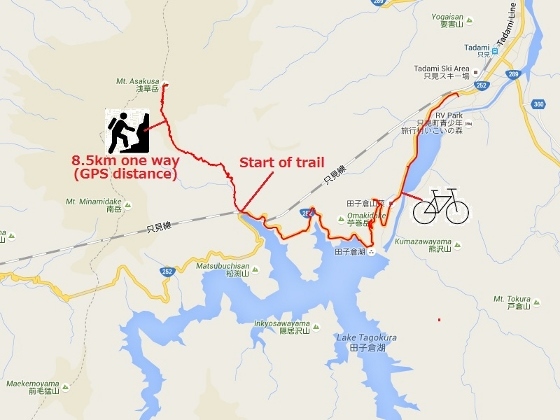 The GPS trace ends halfway during the return route due to battery expiration.